Dr. Stauthammer completed his undergraduate and veterinary studies at the University of Illinois. He continued his professional training as an intern and resident in Comparative Cardiology at the University of Minnesota. In 2009, Dr. Stauthammer joined the faculty as an assistant clinical professor of Cardiology. 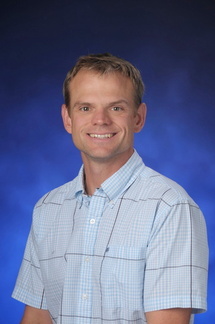 Dr. Stauthammer has received several teaching, service, and academic awards. He is actively involved in Clinical Research at the University of Minnesota and provides excellent training and education to DVM students, interns, and residents. External cardiac basal annuloplasty for atrioentricular valve regurgitation in dogs. 2009 - 2011. $117,525 + devices and training. Sponsored by Mardil Inc. Co-investigator with Anthony Tobias, Robert Novo, Vicki Wilke and Jane Quandt. Minimally-invasive per catheter patent arteriosus occulation in small dogs (?3kg). 2009 - 2011. $22,099 + devices and training. Sponsored by AGA Medical Corporation. Co-PI with Anthony Tobias.